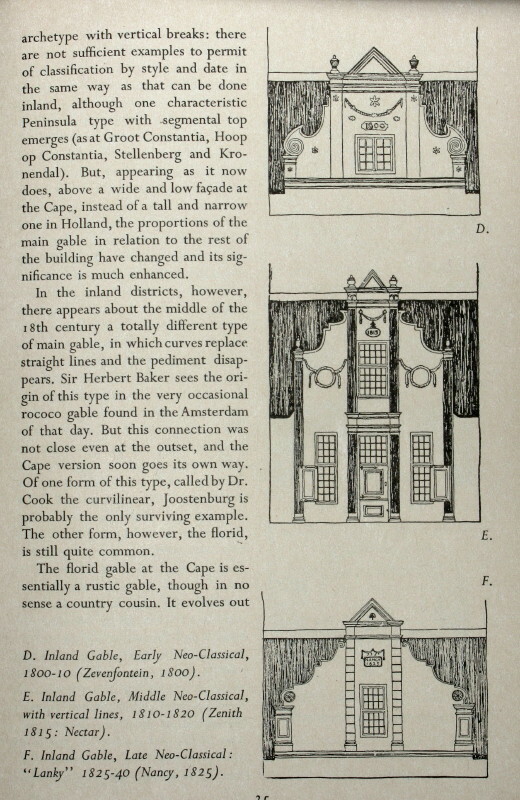 These two diagrams from ’Cape Dutch Houses and Farms’ by C. De Bosdari shows the development from beginnings such as this. 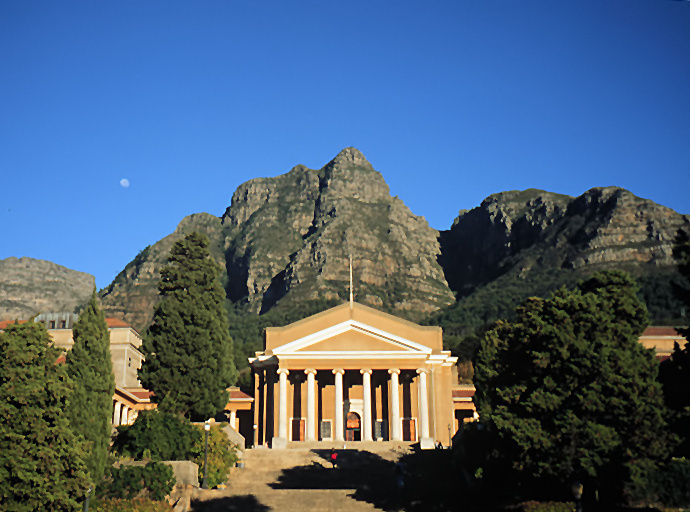 The Classical style was that developed by the Greeks as used in their temples. 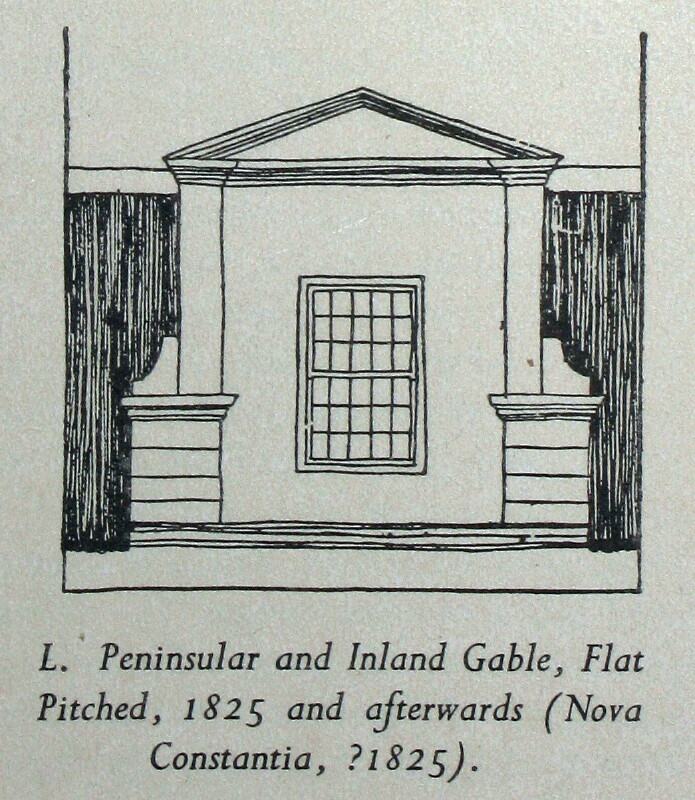 Wiki entry This building has that reduced to its simplest form. 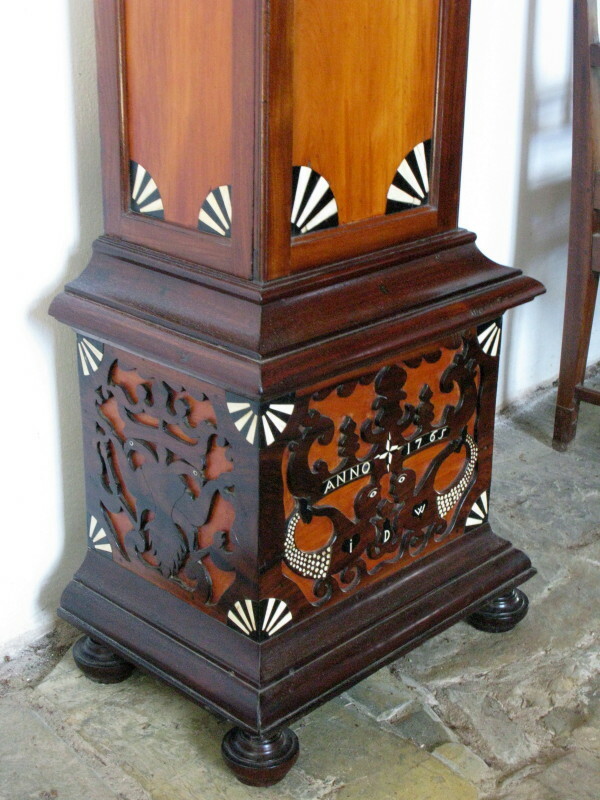 I think it is handsome. 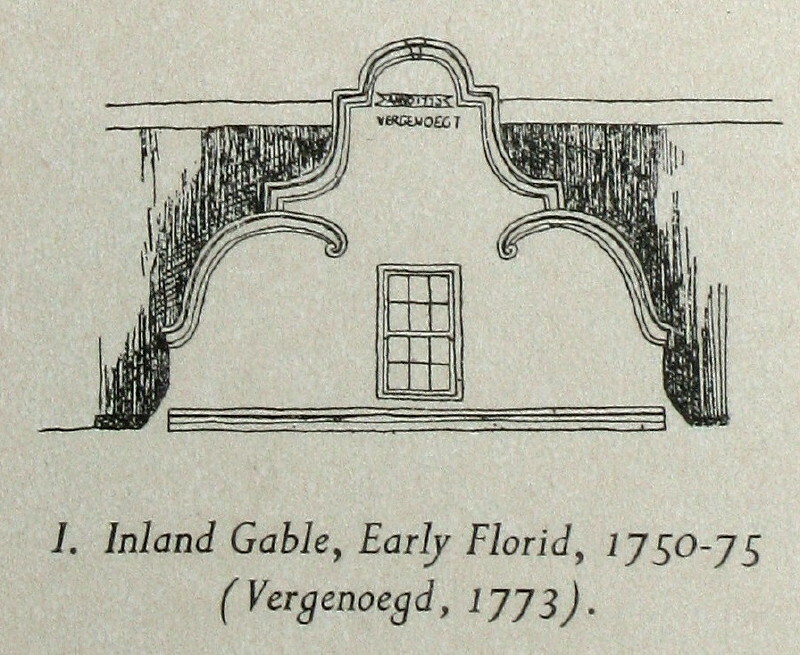 Later on these neo-classical gables developed into extremely elaborate examples. 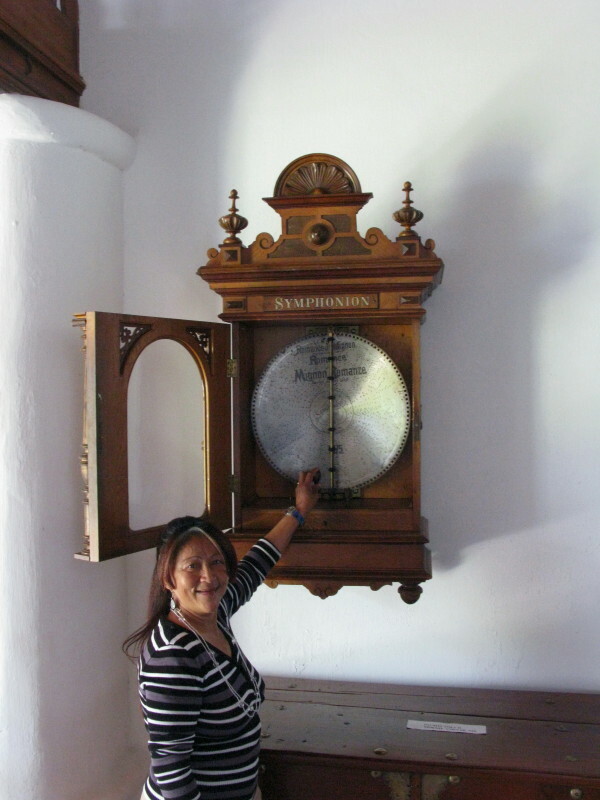 Damn interesting as usual TokTokkie! 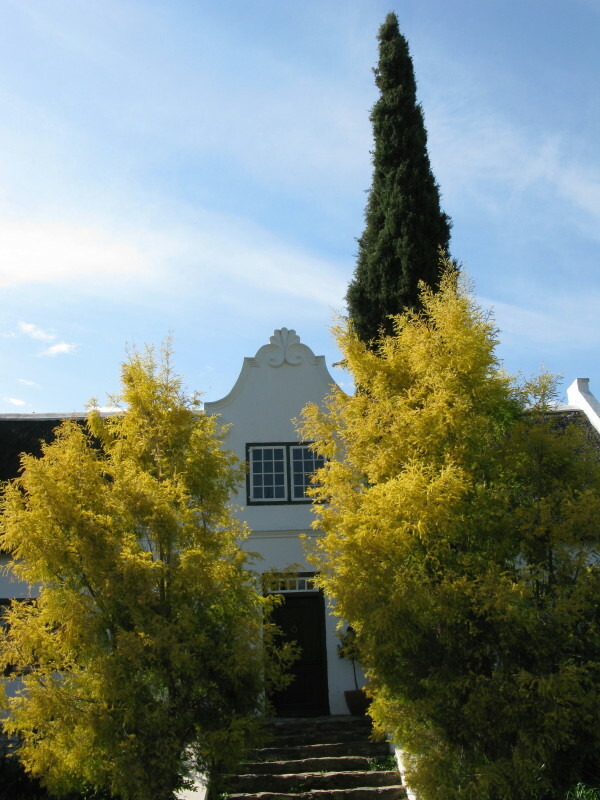 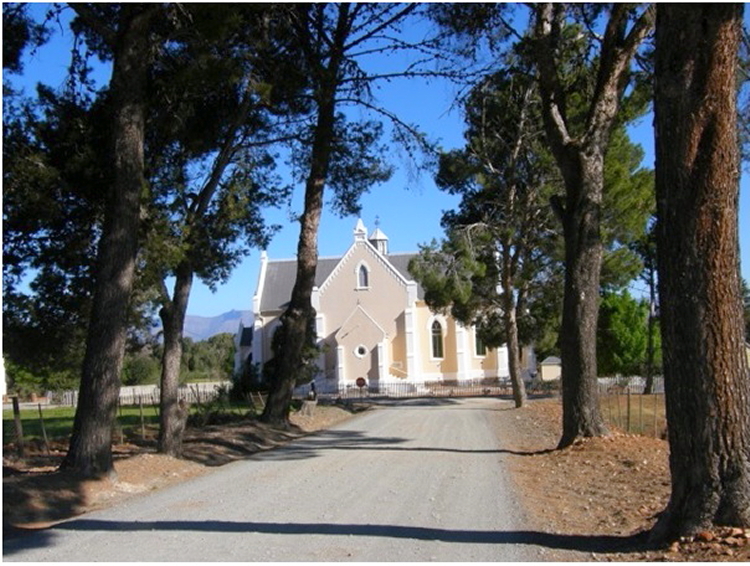 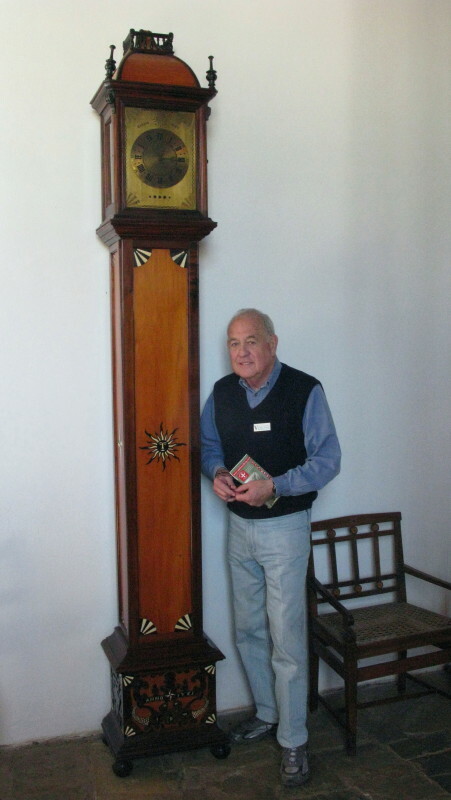 Drostdy Tulbagh. 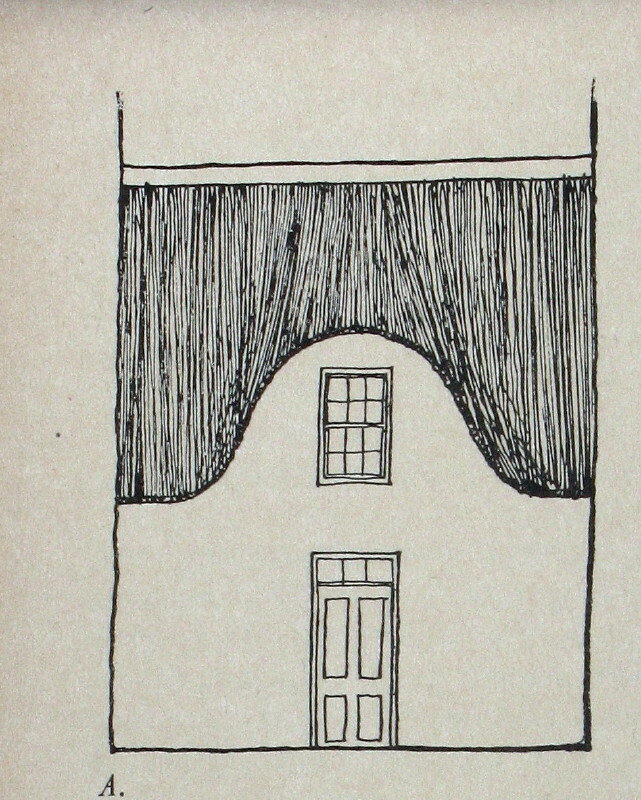 I really had not planned to write this article. 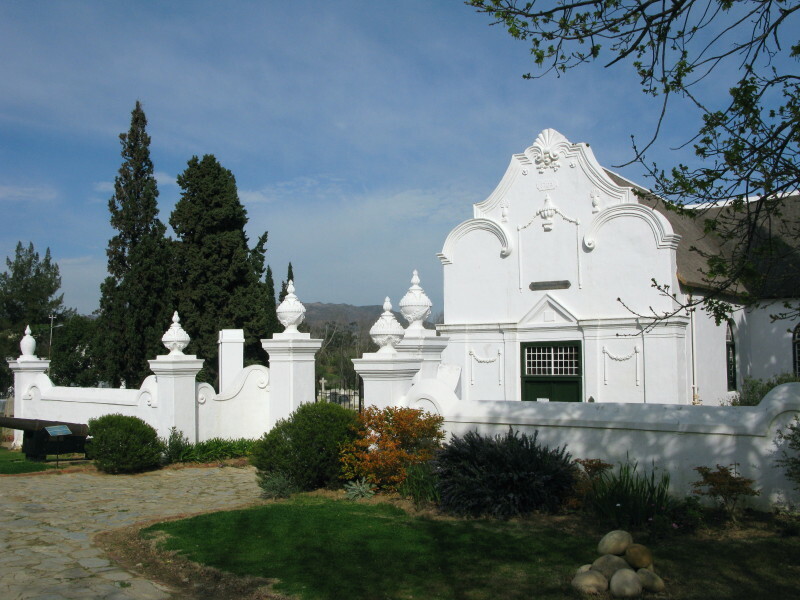 We went here to have a picnic lunch & some wine tasting. 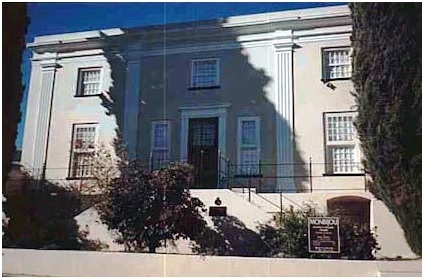 I did not take a photo of the building so have had to look on the internet & this is the best I can find. 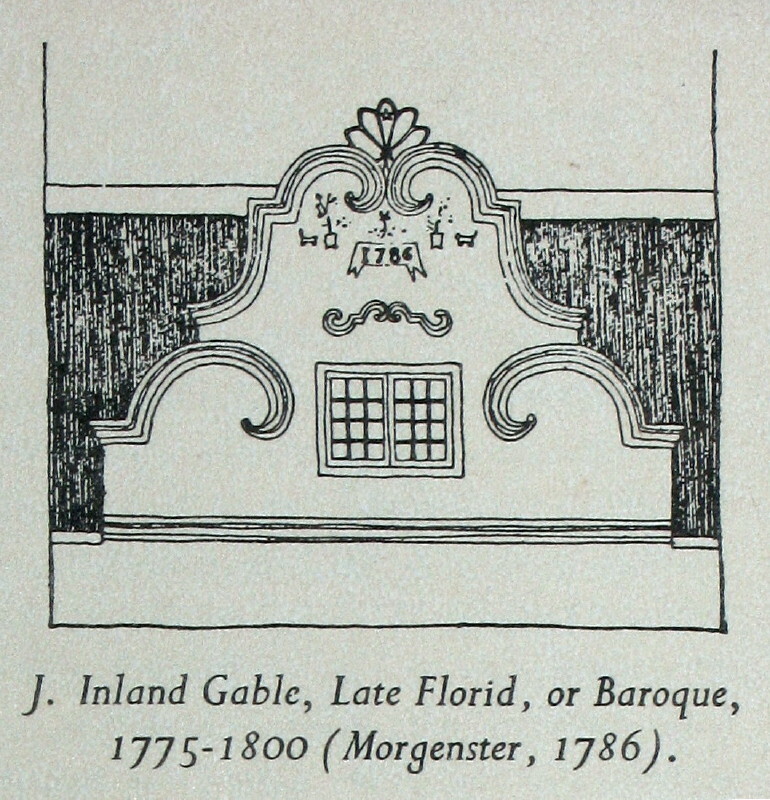 It was designed by Michel Thibault. 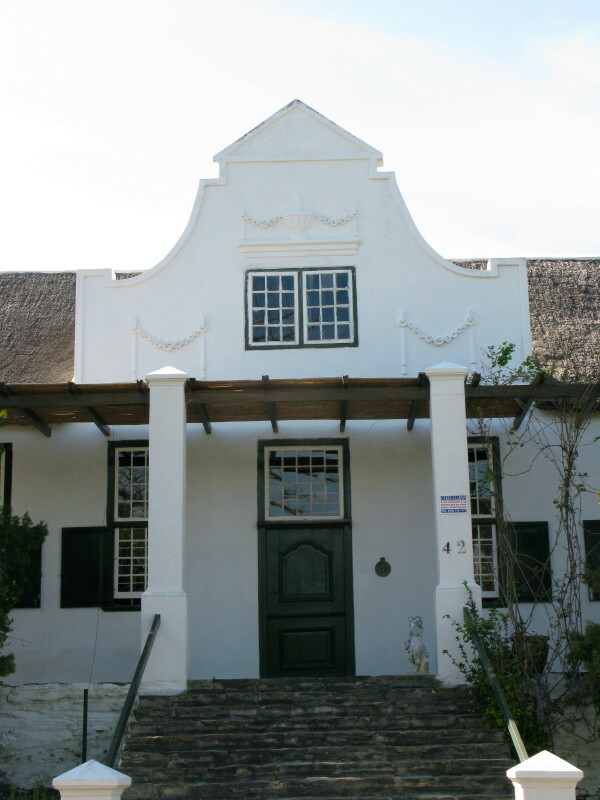 He was a French architect who came to the Cape as a mercenary but became the government architect. 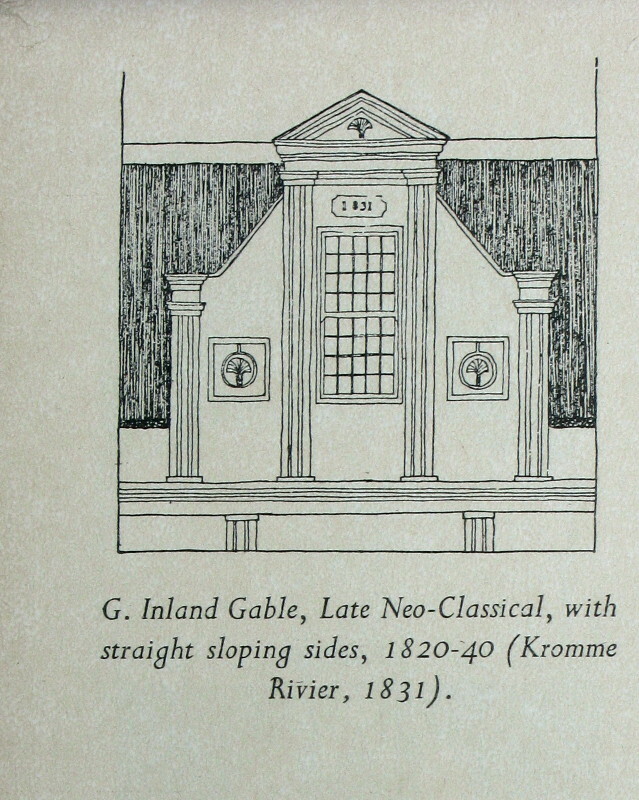 He had trained in the neo-classical style in France and was the first trained architect locally so was very influential. 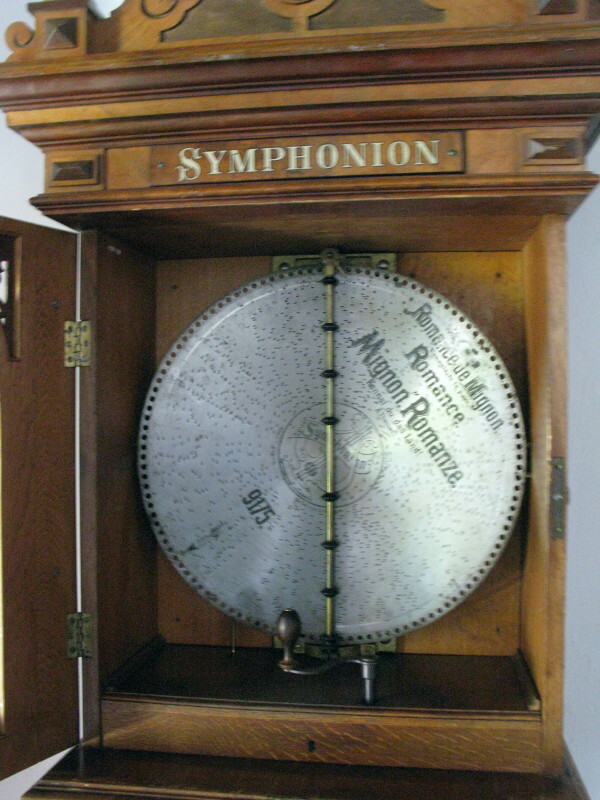 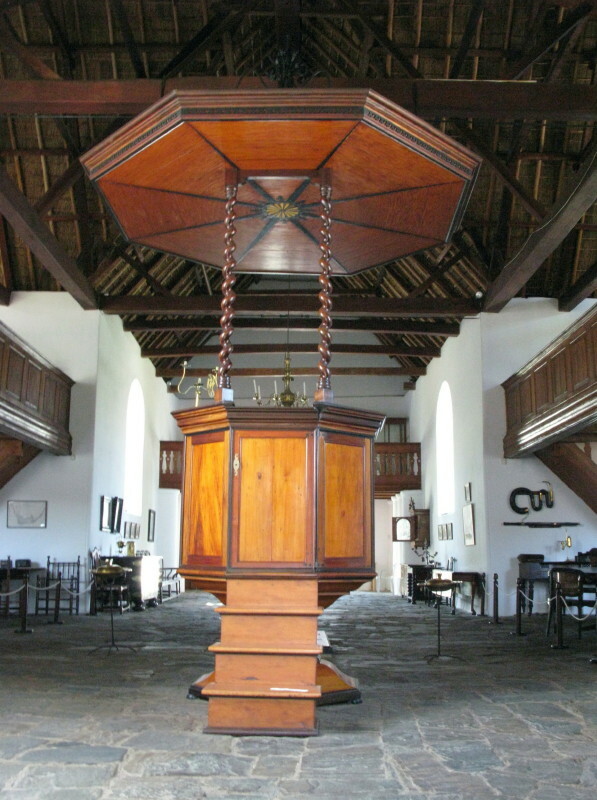 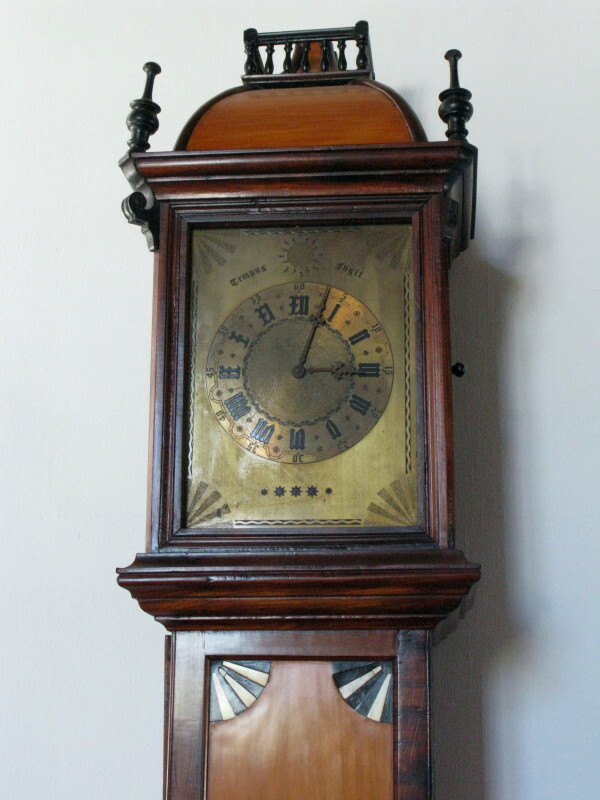 The Drostdy was built between 1804 – 1807 and cost much more than intended. 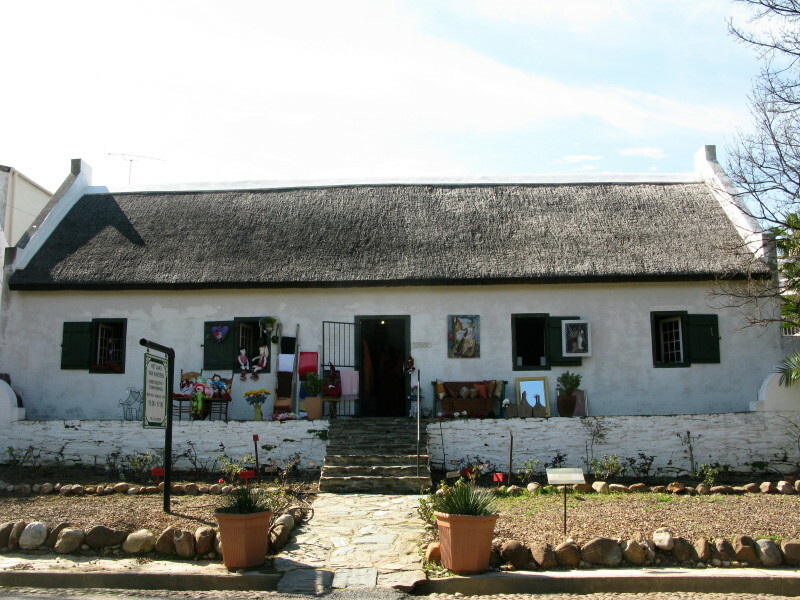 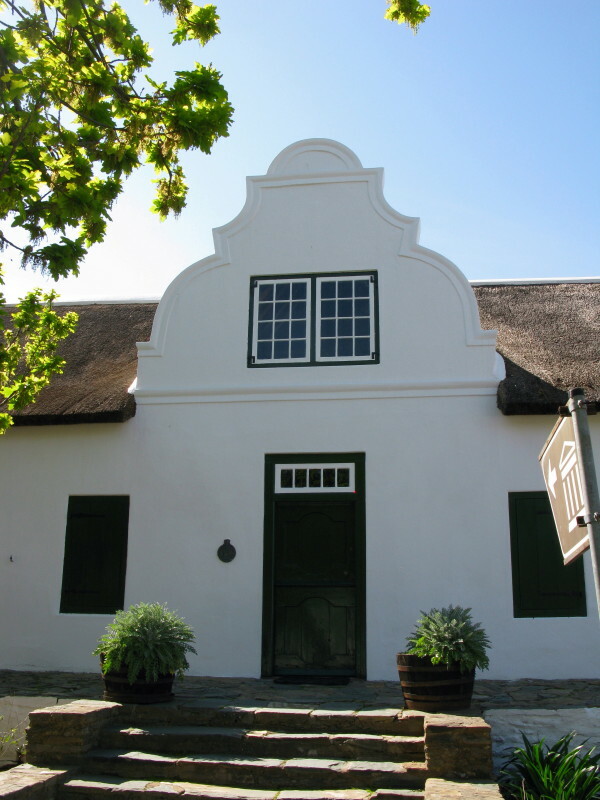 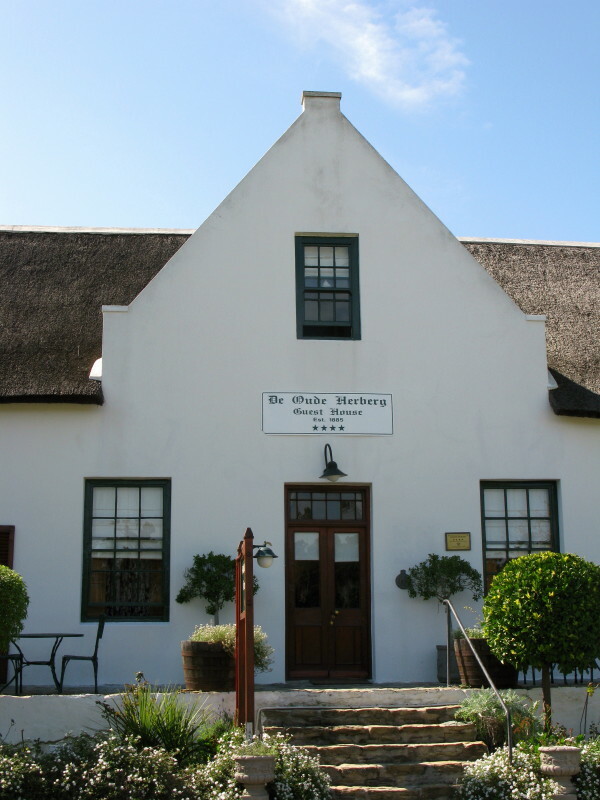 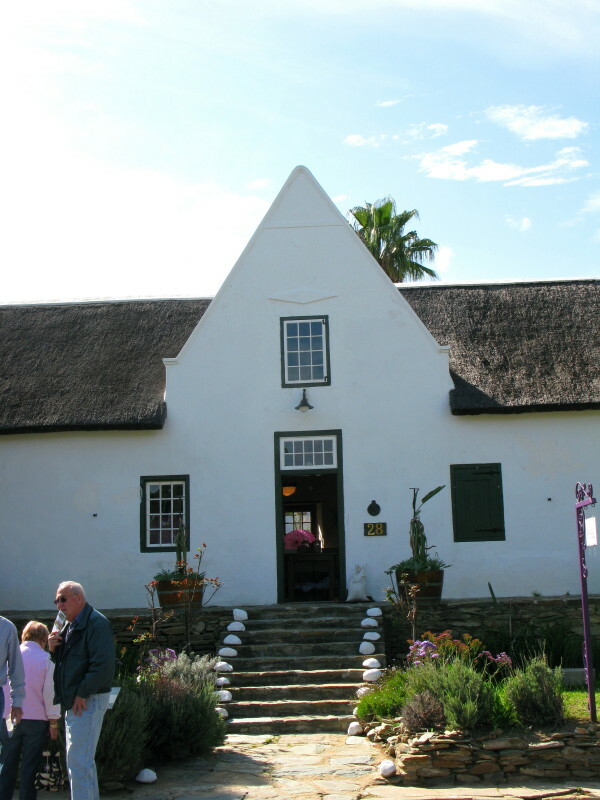 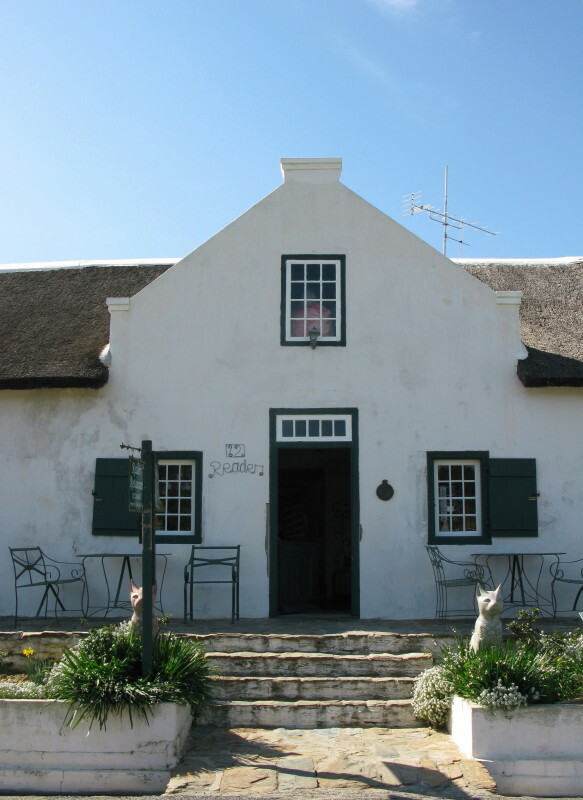 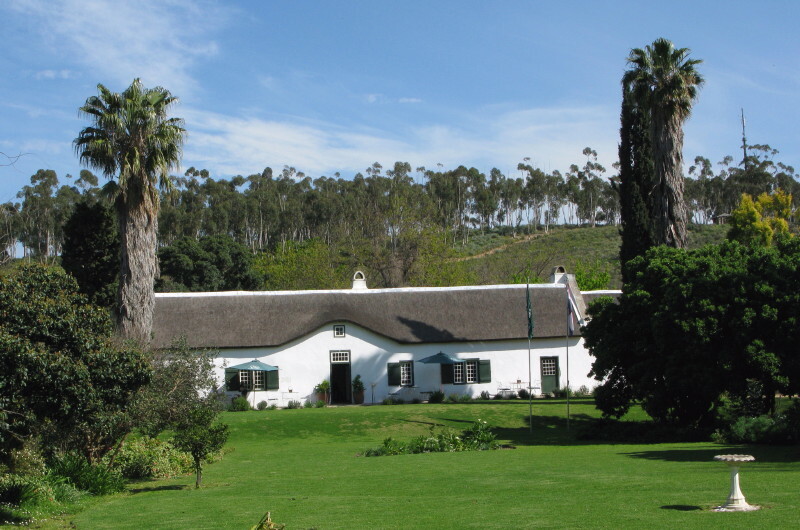 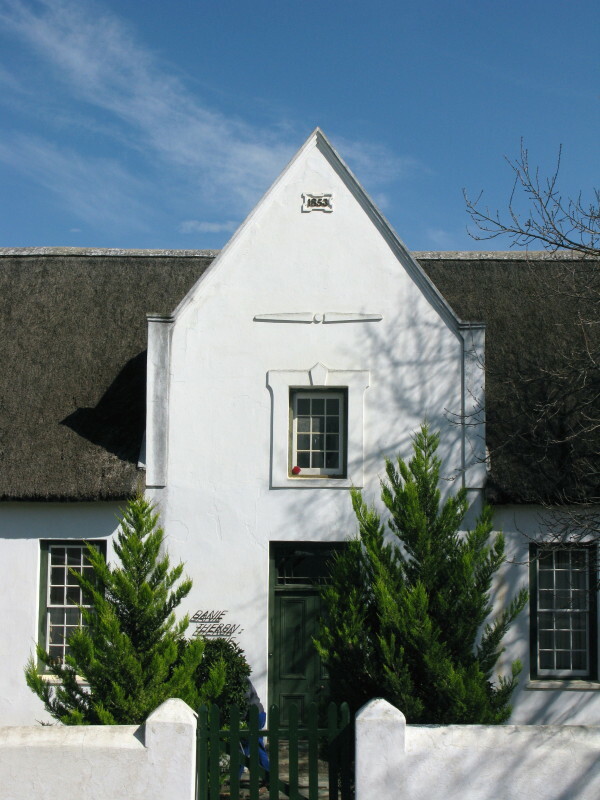 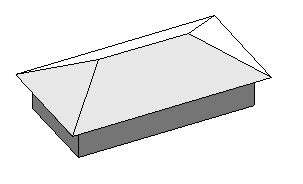 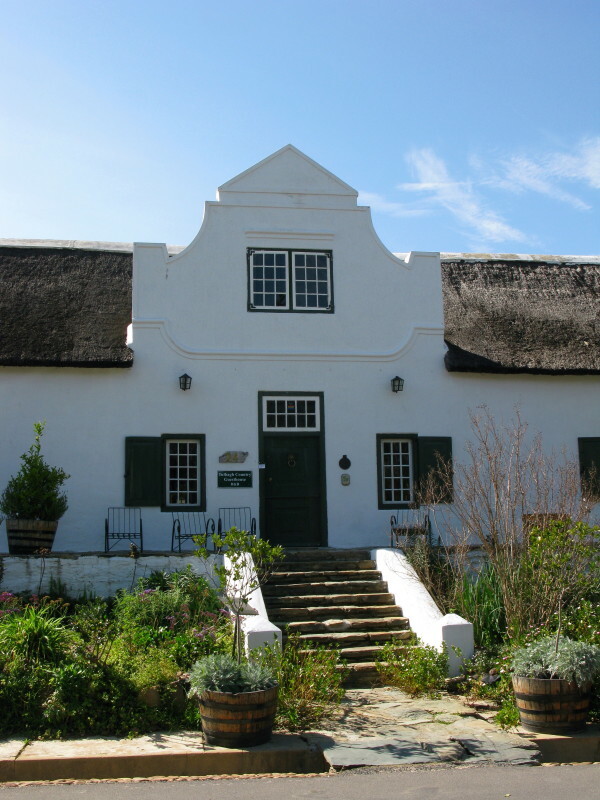 It is clearly not a ‘Cape Dutch’ building but there is a gable nevertheless though it stands alone without any roof behind it. 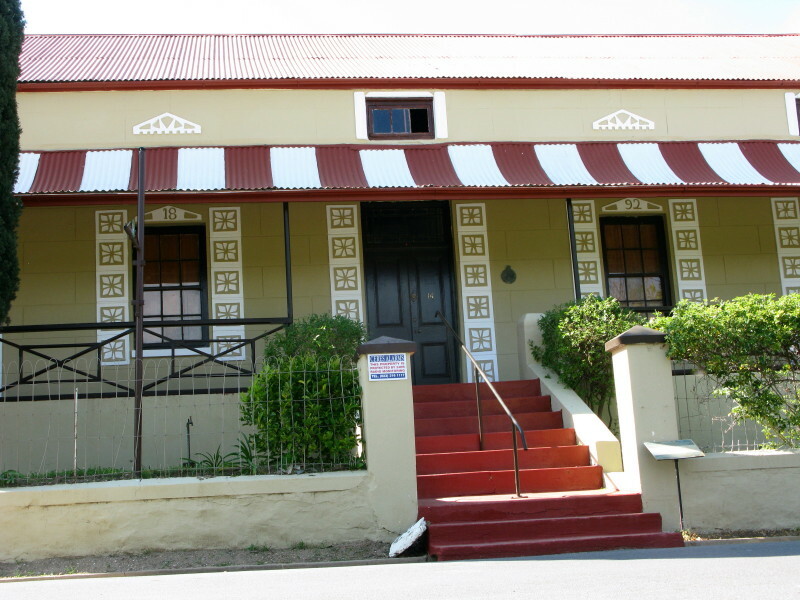 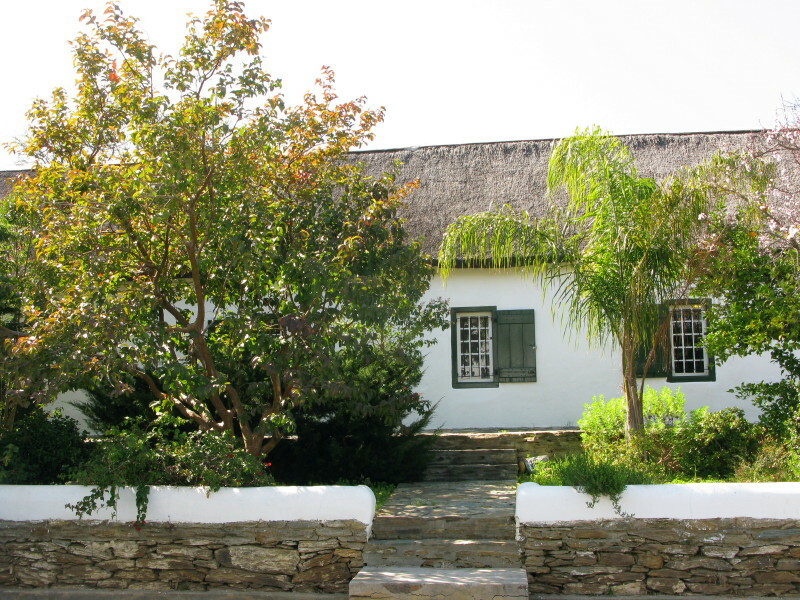 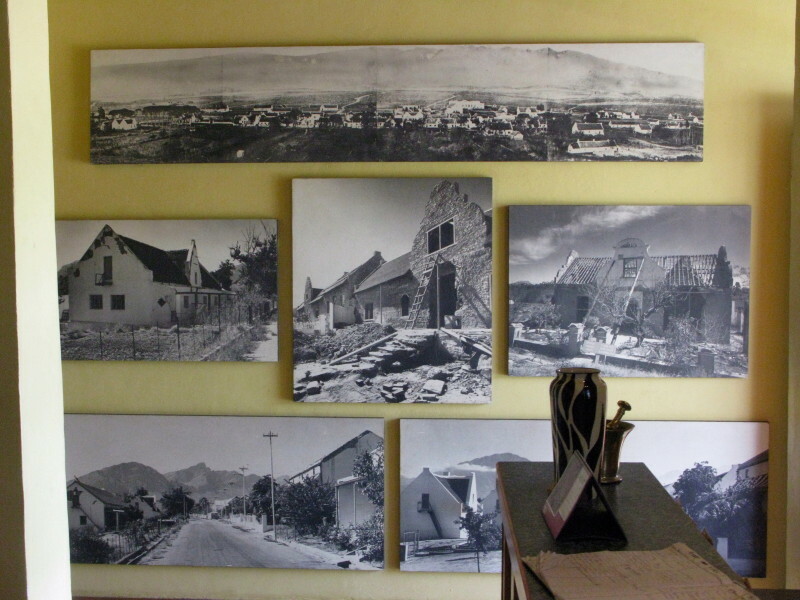 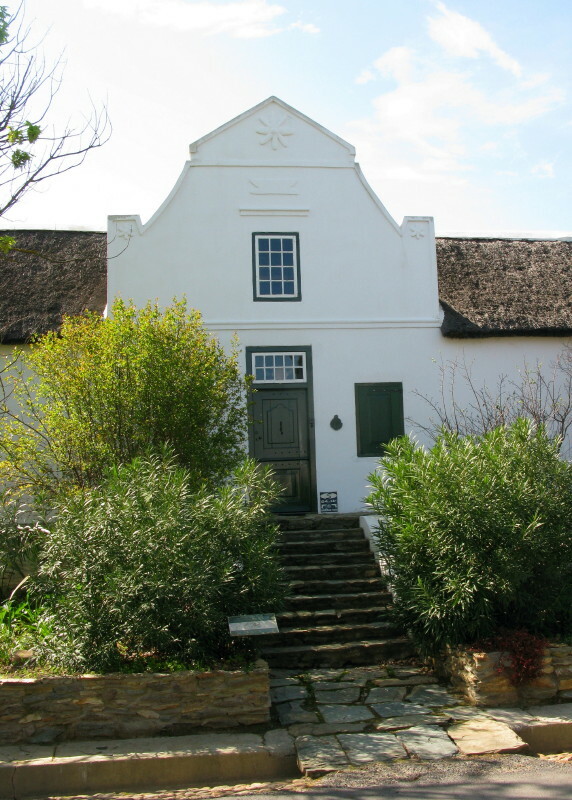 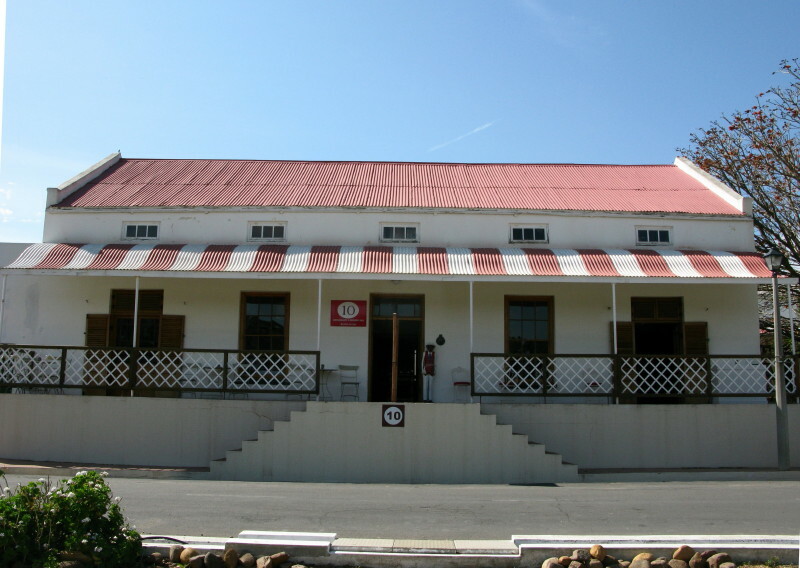 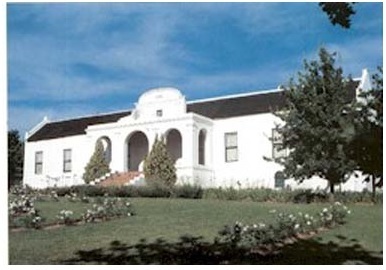 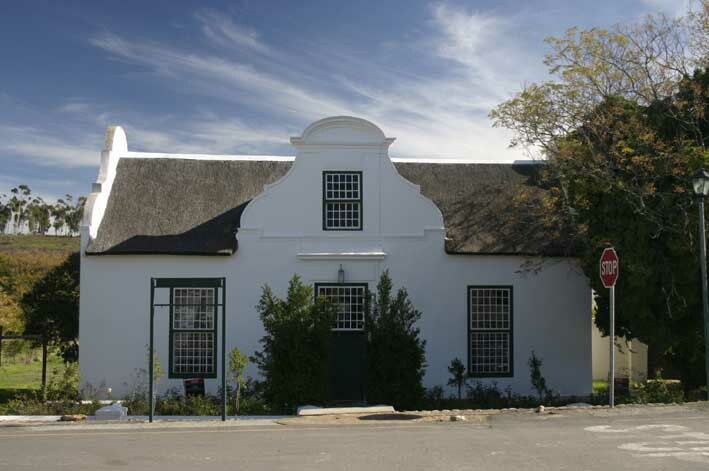 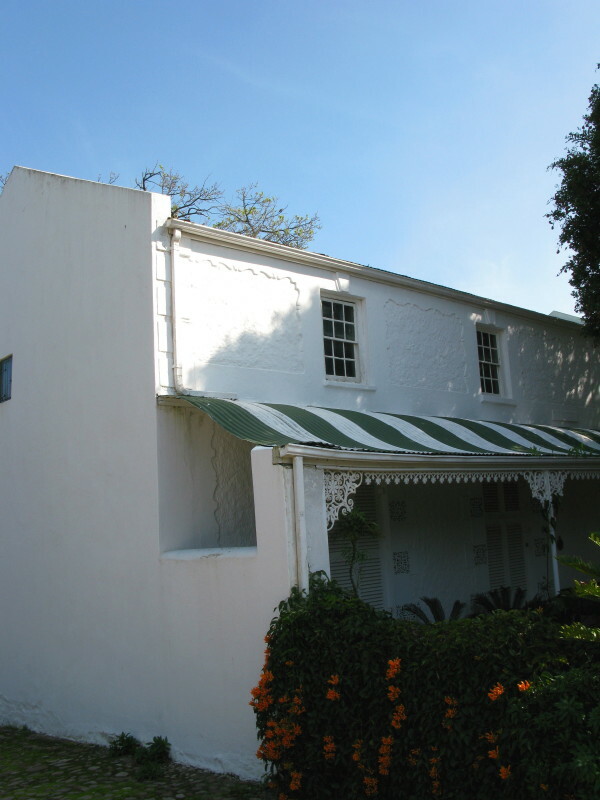 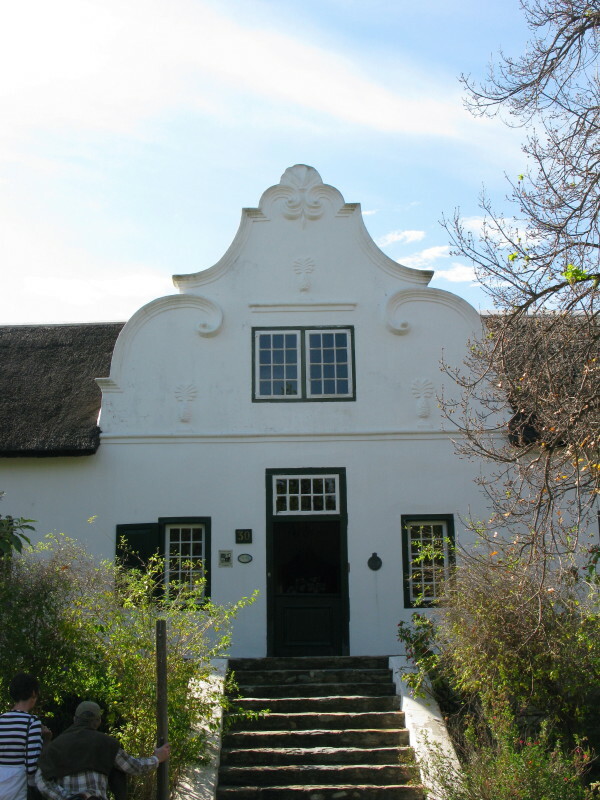 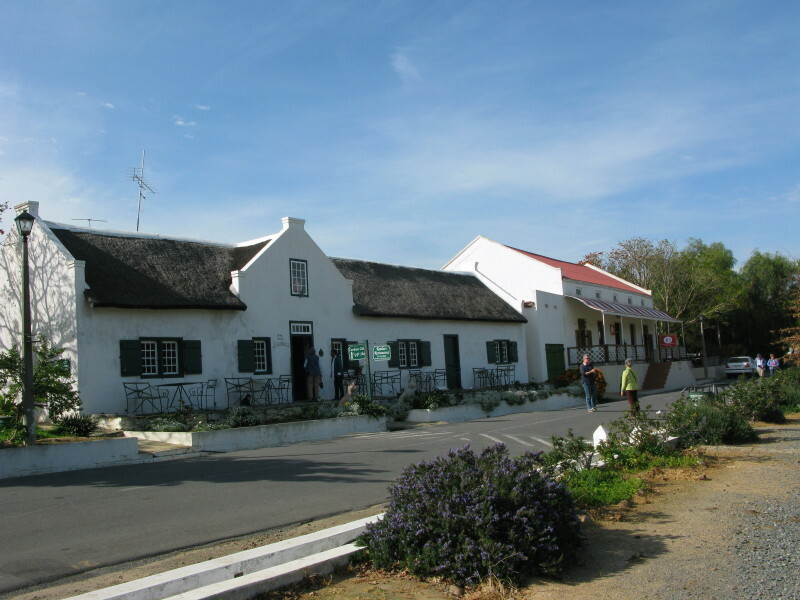 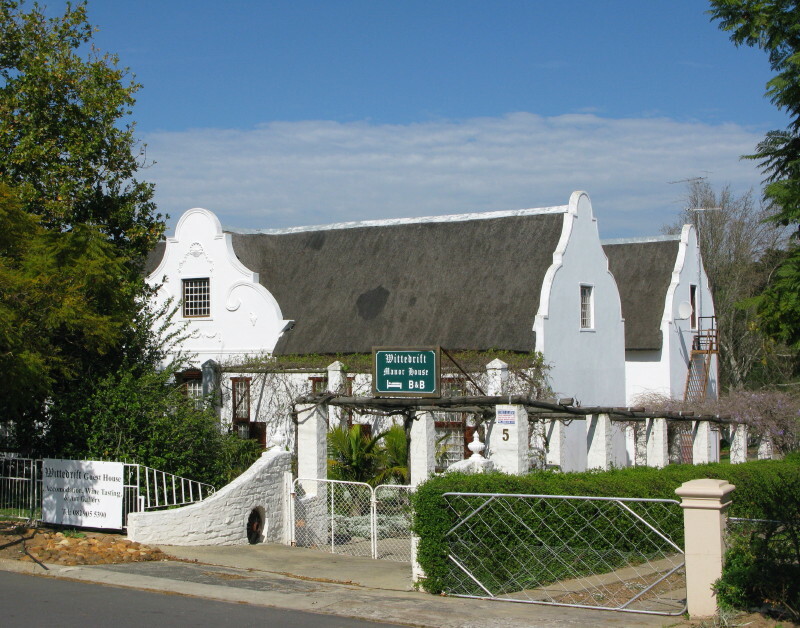 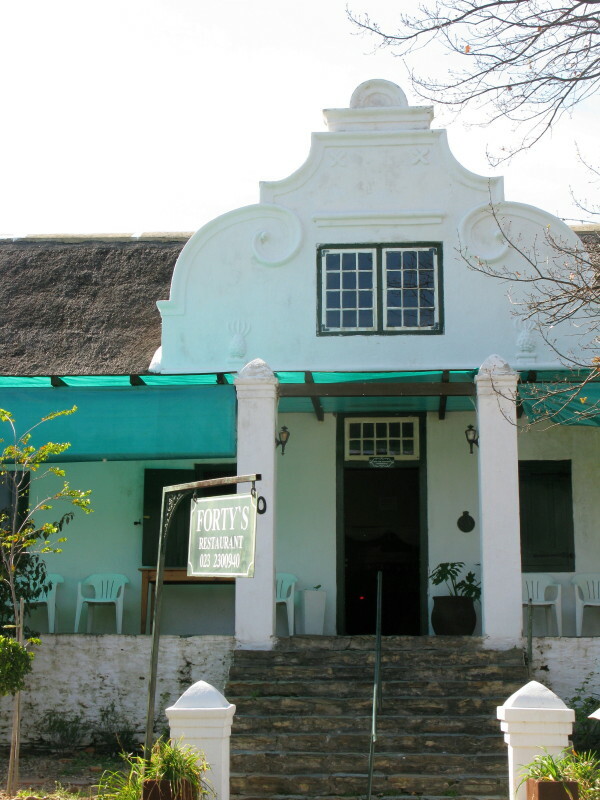 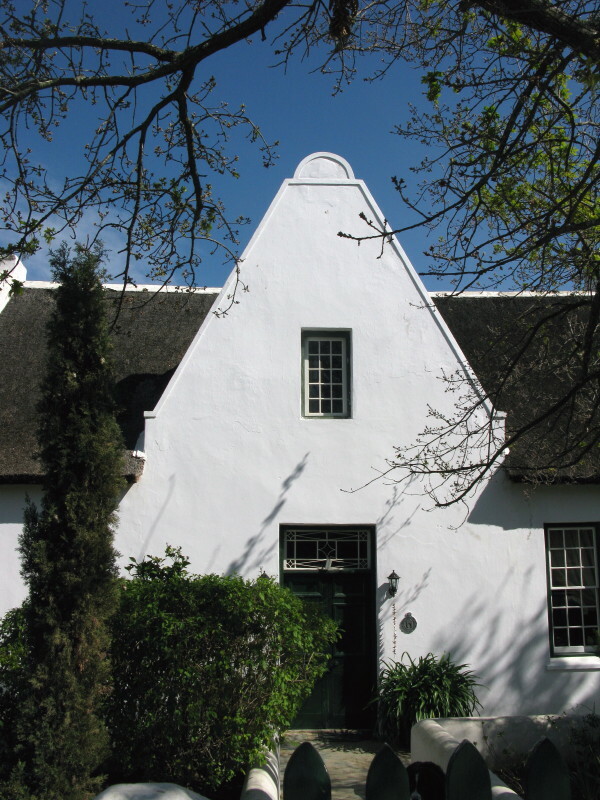 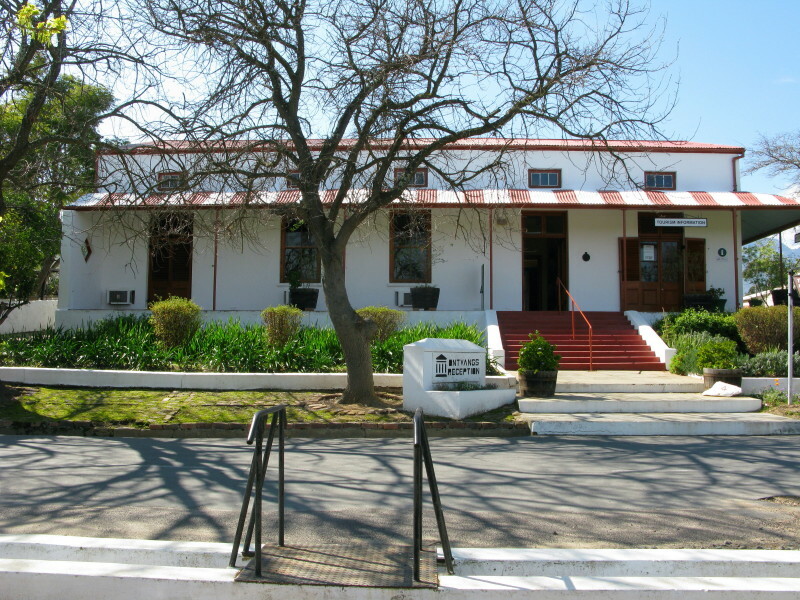 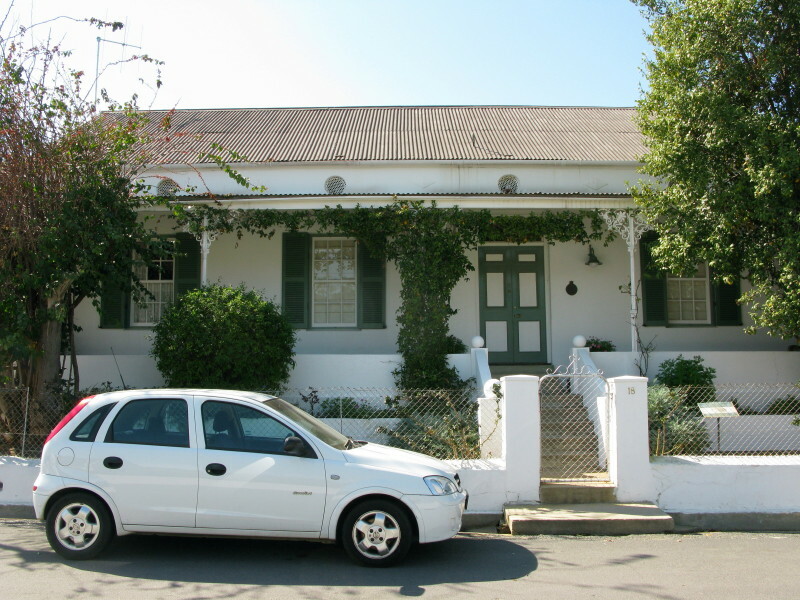 Thibault also did the Drostdy in Graaff-Reinet (1804-1805)which is much more ‘Cape Dutch’ styled and the gable there is clearly similar (with the semicircular top) and he probably (no proof) did Groote Constantia which again has a semicircular pediment. 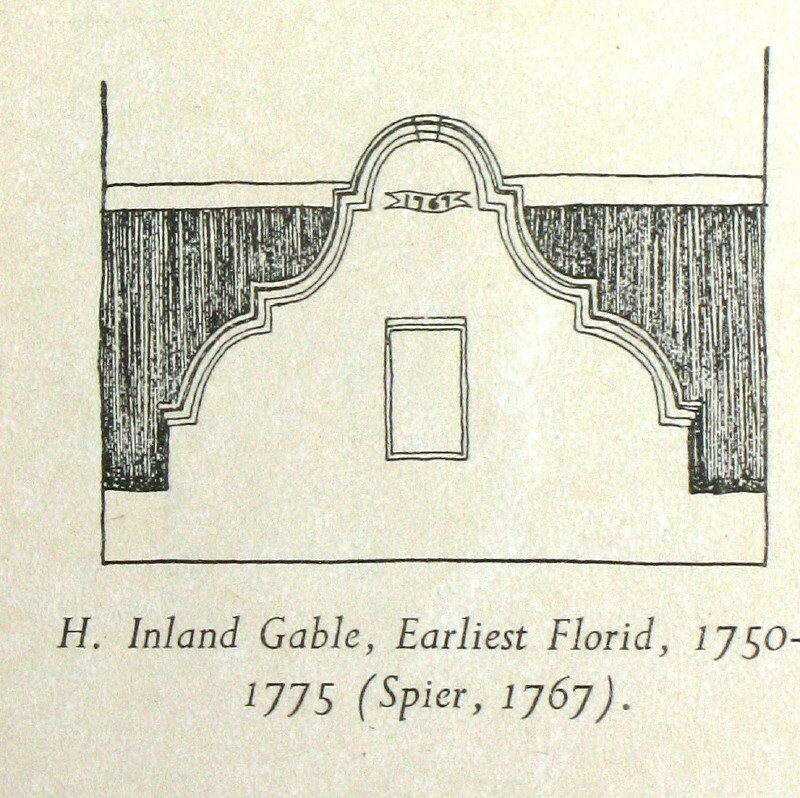 So, although this is an odd building, it shows an important influence in the change from the Baroque holbol early style to the later Neo-Classical style of Cape gables. 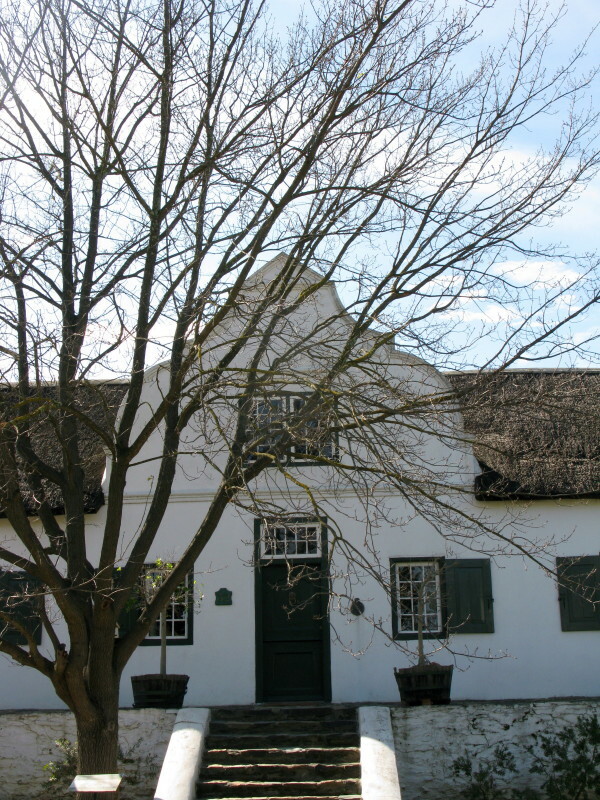 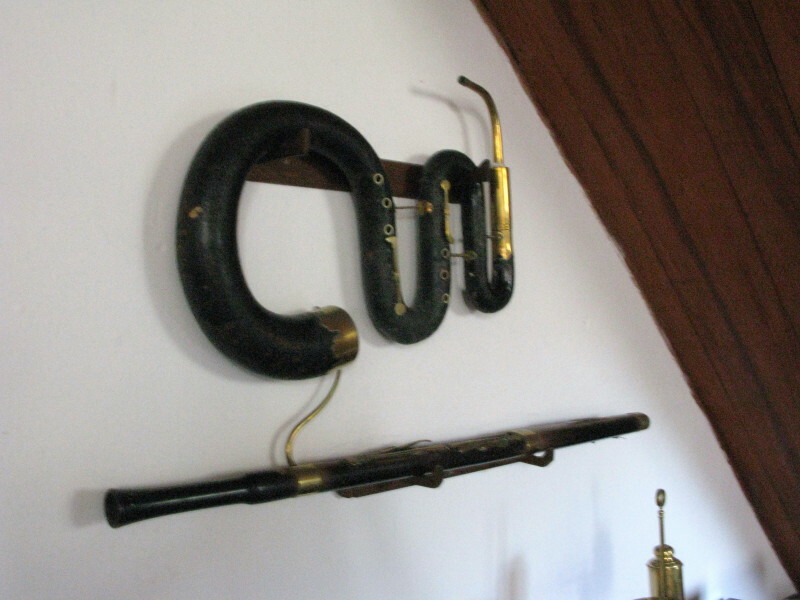 It is fairly certain that Thibault also contributed to #43 Ballotina (Dr Mary Cook’s house).